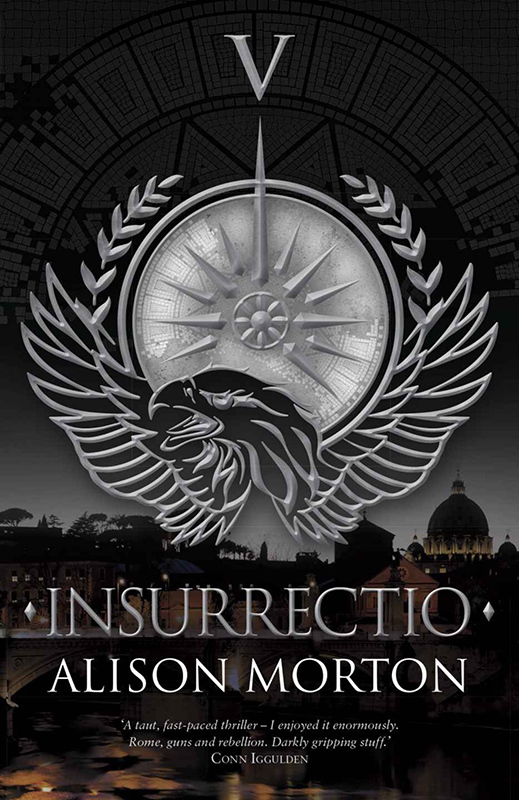 Welcome to Alison Morton, author of the acclaimed Roma Nova series. 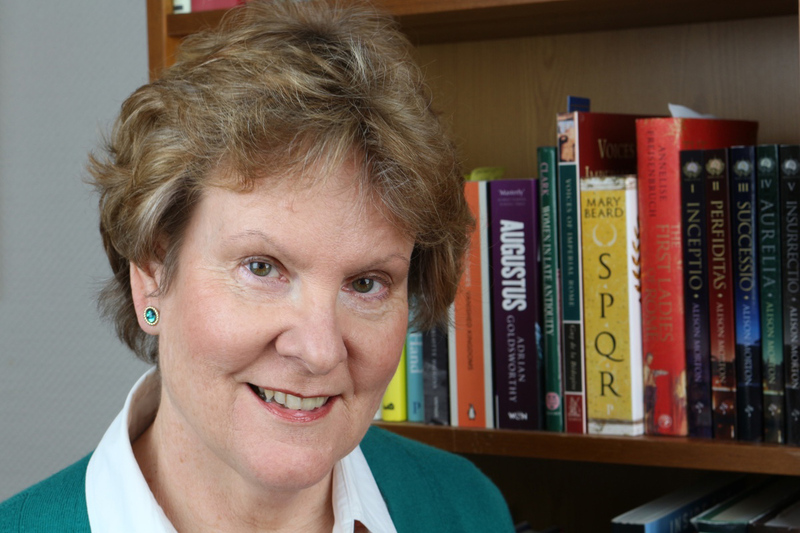 I first met Alison at an indie author festival in London, where she surprised everyone by revealing a stick the same length as a Roman gladius that she keeps for inspiration. As a martial artist, I got quite excited about this, which shows the value of having a clever ‘hook’ to grab people’s interest! 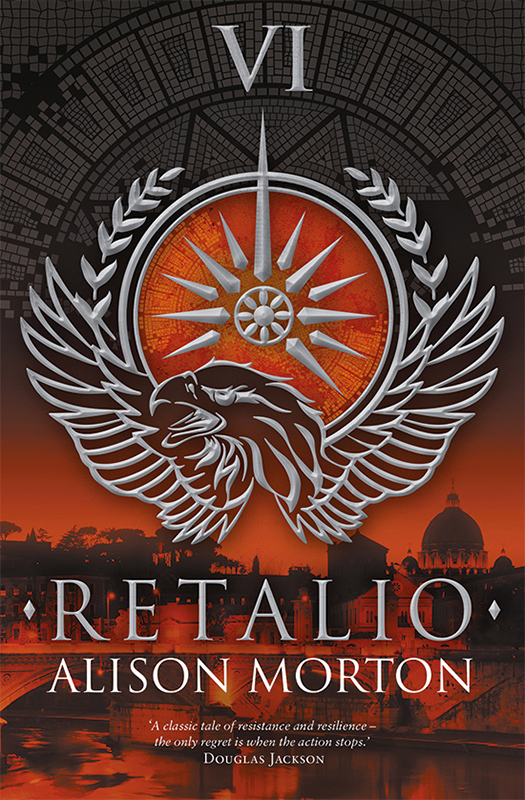 Alison Morton’s thriller series features modern Praetorian heroines, blending her deep love of Roman history with six years’ military service and a life of reading crime, adventure and thriller fiction. She combines real intellectual rigour with a great talent for action scenes, intricate plots and skilfully drawn characters. Writing stories! I enjoy blogging, both on my Roma Nova books blog and my writing blog. Although it was mind-stretching and hard work, I enjoyed writing my MA dissertation (History). I’ve written copy, corporate documents, position papers, government minutes and translations and edited well over a million words (I stopped counting after that!). As a professional linguist, I try to make each word shift its weight effectively. Hopefully. Hahahaha! I couldn’t live from my writing income – champagne and caviar are very expensive, you know. Seriously, although my writing revenue is growing each year, it’s still a supplement, rather than main income. My main obstacle is a chronic back problem which I put down to falling off an assault course many years ago; it limits the number of hours I can sit at my desk or hover in front of my standing desk. If I churned out more books a year perhaps I would be rich (! ), but I’m a fussy beggar and prefer to craft each one with a full editorial process. I bash the story out, more easily now I’ve done six books, then carry out a ferocious self-edit with my red pen, deleting, adding and changing. If I stop and edit as I go along, I’d lose the plot. I do write loads of twists and turns with a host of characters aiding and abetting my main character so I need to keep the momentum going. I’m about a 15% plotter and 85% pantser. Before I begin a new book I write a thirty line framework with inciting incident, three crises/turning points, the black moment, climax and resolution, then off I go! After honing my manuscript to the best I can do, my critique partner, who has the eye of an eagle and the instincts of a velociraptor, combs through it. After revisions, it then goes to a structural editor who checks for cohesiveness, story arc, plot holes, timelines, etc. Also a straight-talking woman, but that’s what an author needs! More revisions, then to the copy editor to check the nitty-gritty. When the galleys are produced for the print version, I proofread them. I work from the last chapter back to the first, otherwise I’d start reading the story – fatal! Pliny the Younger for his minutiae of Roman life and his tittle-tattle about other people, Shakespeare for the richness and sheer cleverness of his language, Jane Austen for observation and dry comedy, Thomas Mann for the cultural themes and characterisation in his epic Buddenbrooks, William Boyd, another clever technician, for his observation and humanity. And Robert Harris for his tight, succinct style. More of a warning: that you will be in Sisyphus mode for a very long time. Although agents and publishers told me my writing was “clearly of publishable standard” and my stories “intelligent and intriguing”, they found it difficult to fit it into a standard market category. But I thought I had a good story to tell, so I researched the possibilities and decided to try indie. 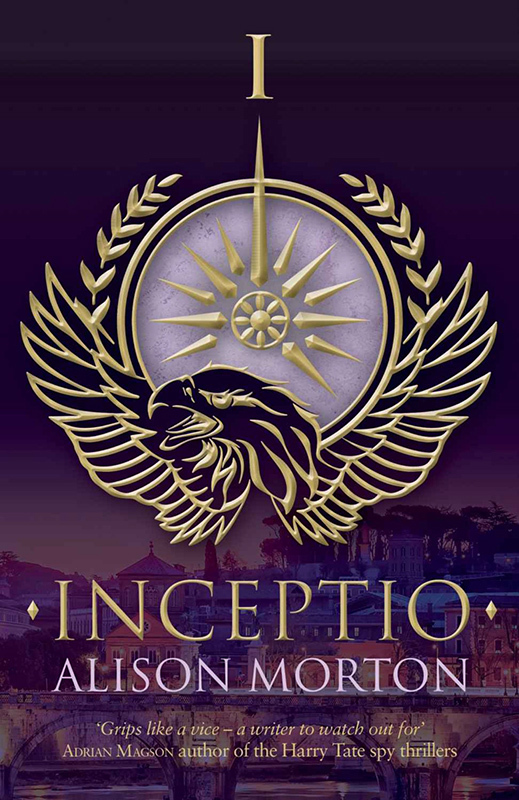 I was nervous when I started marketing INCEPTIO, my first book, in March 2013. I’d spent a good amount of time and money (and sweat!) on making it as perfect as possible. Suppose readers thought it was a load of unintelligible tosh? 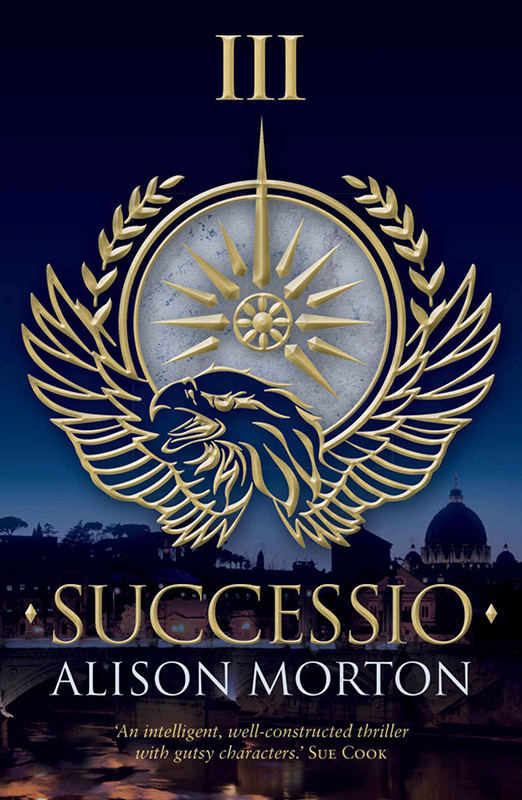 But luckily they didn’t, so out came PERFIDITAS later that year, followed by SUCCESSIO in 2014 which The Bookseller reviewer called “this classy thriller”. 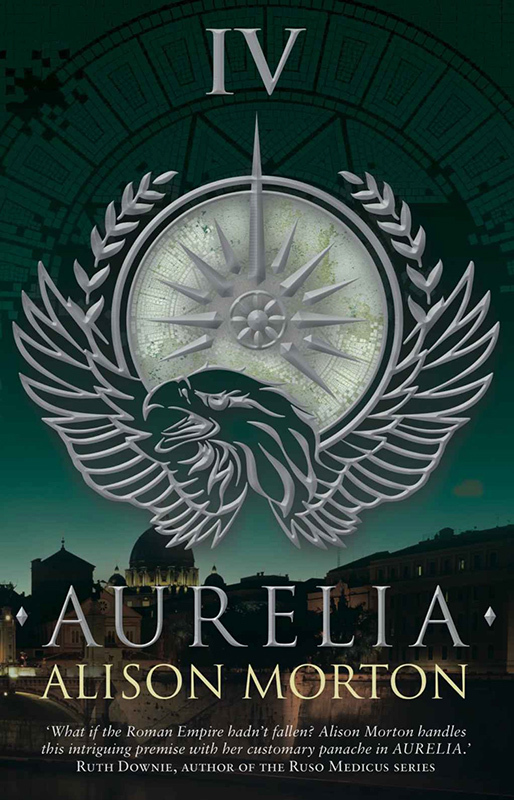 Fired by the positive reception of that first trilogy, I set off to write a prequel, AURELIA, (Historical Novel Society 2016 Indie Award finalist) which turned into a second trilogy with INSURRECTIO and now in a few days’ time, RETALIO. 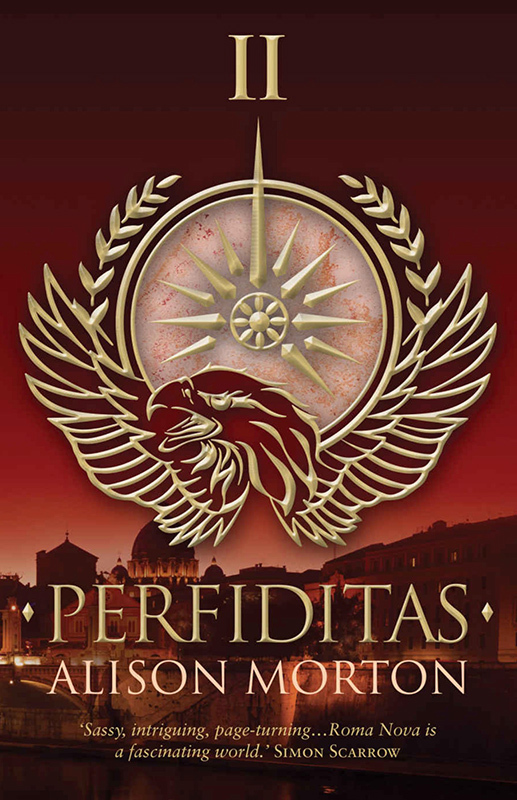 Wonderful people like Conn Iggulden, Simon Scarrow, Sue Cook, Ruth Downie, Douglas Jackson and Helen Hollick, amongst others, have endorsed my books. Such support is invaluable. The books have won various awards but I’m most proud of those like the B.R.A.G. Medallion and Discovered Diamonds that use a panel of readers to evaluate your book. Readers are the final arbiters of our work and if they like it, then our job is done. Thank you for your time and interesting answers, Alison! And very thoughtful ones, too! You’re welcome Alison — and thank you for taking part! Even though the series has only been going for a short time, I’m already finding the variety of answers fascinating.